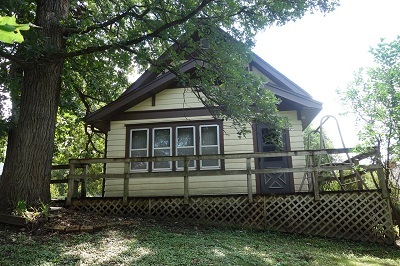 Charming 3 BR, 1 BA home that includes a shared garage and garden spot. Beautiful setting with deck, patio and mature trees. Home features original woodwork with hard wood flooring in main floor bedroom, remodeled kitchen, large living/dining room and enclosed 3-season porch. Roof was replaced in 2012 - and all mechanicals in home have been well-maintained.